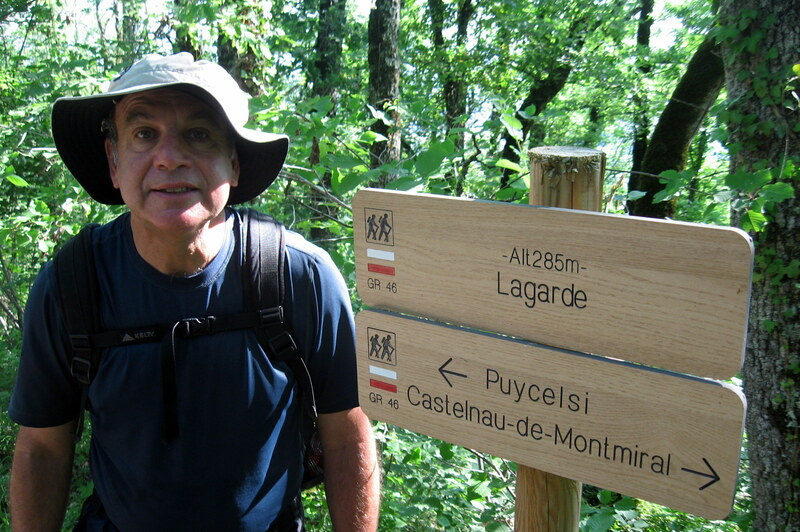 Friday, July 2 – Walked from Castelnau-de-Montmirail to Puycelsi – 20.5 kms. | Say Mar Say! - C'est Marseille! 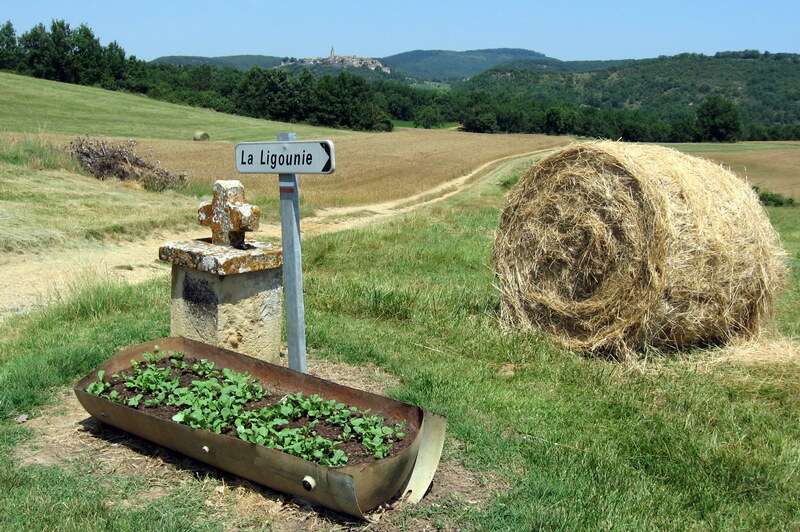 Friday, July 2 – Walked from Castelnau-de-Montmirail to Puycelsi – 20.5 kms. Very nice walk. Took a shortcut to cut out 3 kms. 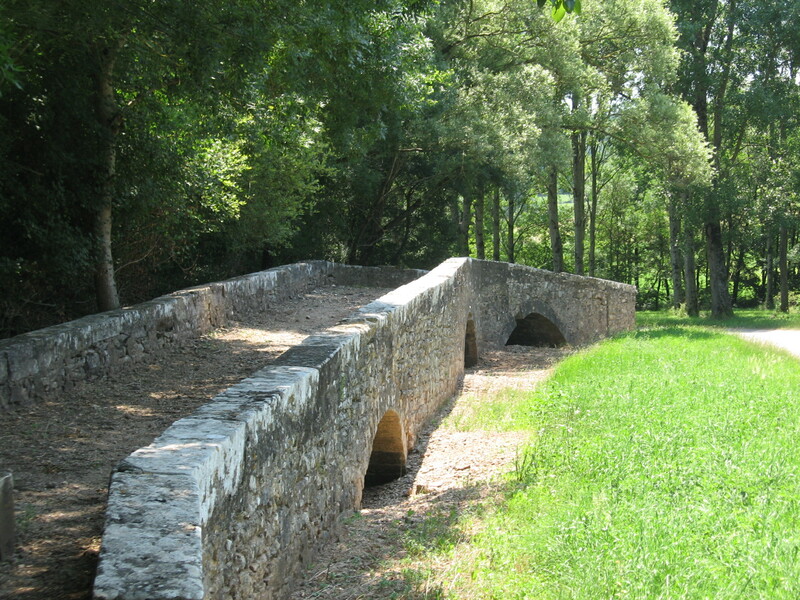 Just before climbing to Puycelsi, walked through a nice village named Laval and a cool Roman bridge, now stranded without a waterway. Steep climb up to Puycelsi, because it sits quite high. Perhaps the best stop in this phase of our walk. 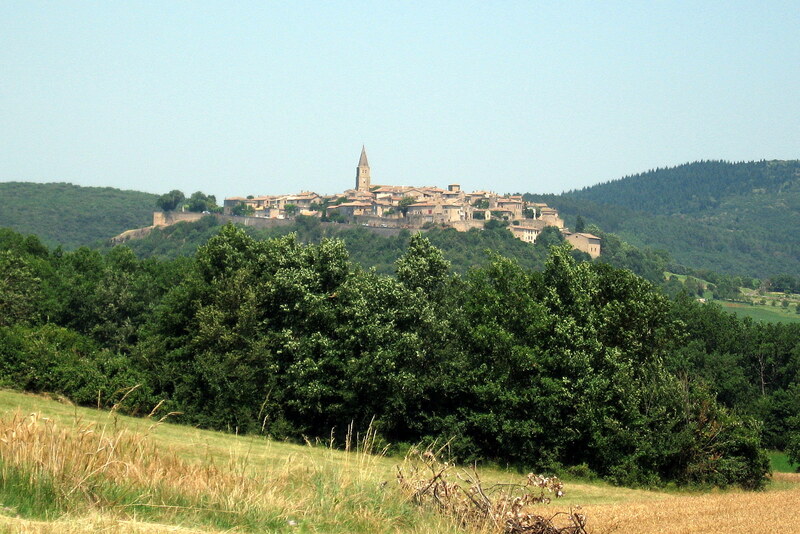 Very amazing 360 degree views of unspoiled countryside. No real central place. Very good, inexpensive bistro. Incredible chambre d’hôte tightly run by a Belgian woman, Mme. 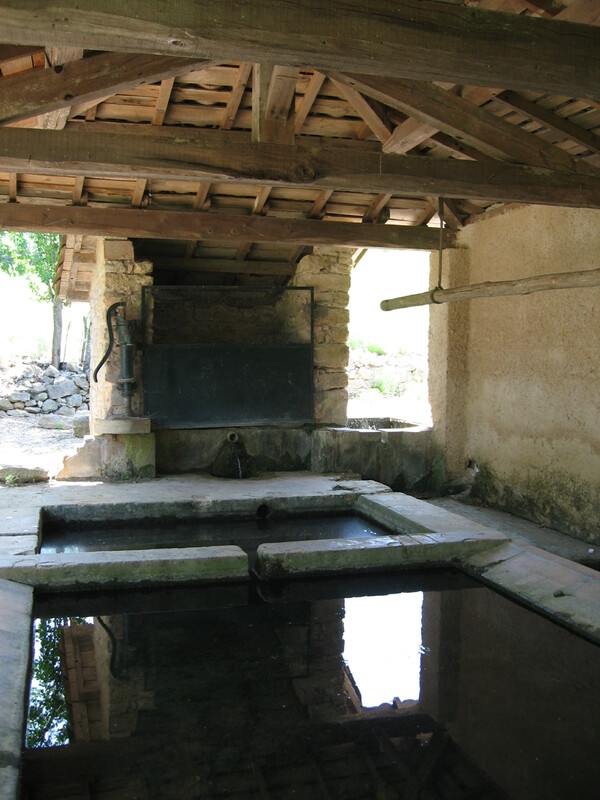 De Boyer-Montegut, in middle of village with idyllic pool and jardin (garden). The house was 17th century and well appointed for the period. Very comfortable room with a terrace and view. Swam in the pool before walking around the village and having dinner. 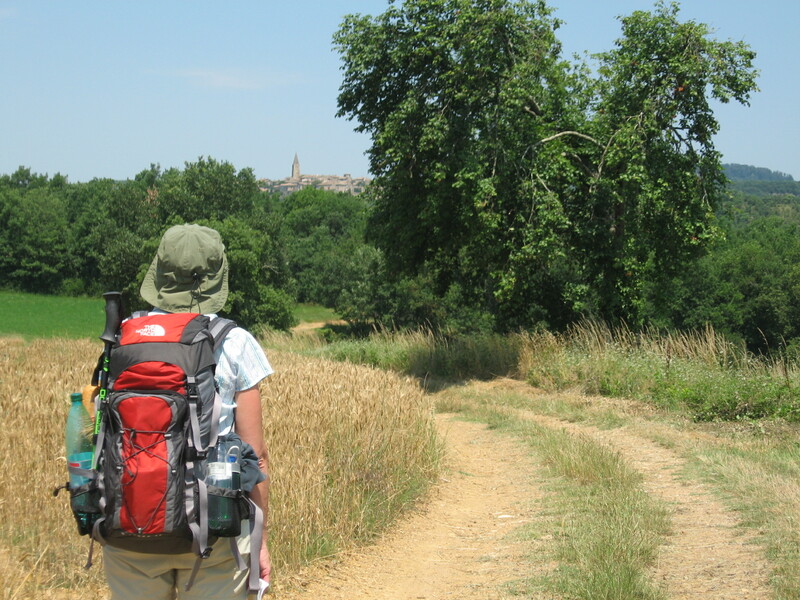 This entry was posted on February 7, 2013 at 10:01 am and is filed under Hiking In France. You can follow any responses to this entry through the RSS 2.0 feed. You can leave a response, or trackback from your own site.